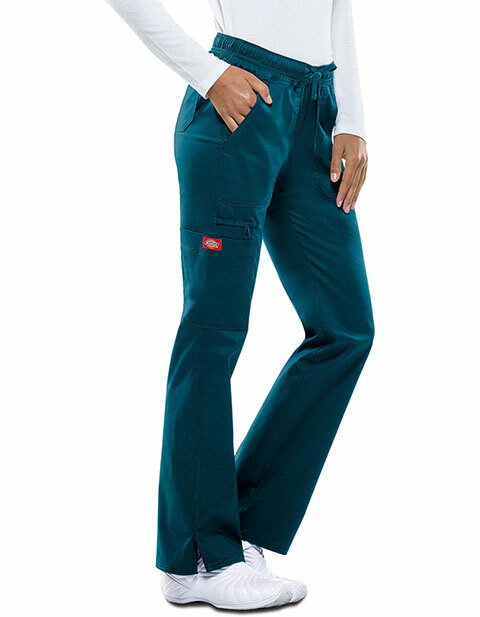 Get a personalized fit and the comfort of wear with women's modern fit pants that feature an adjustable drawstring with a full elastic waistband. Four roomy patch pockets and two instrument loops are enough for storage needs. Side vents of the stretch pant allow for the ease of mobility, while contrast multi-needle top stitching boosts the strength.